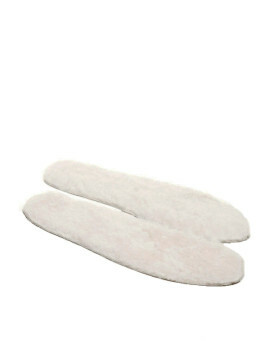 Silver Indigo Fox All Fur Zhivago Pill Box Fur Hat. 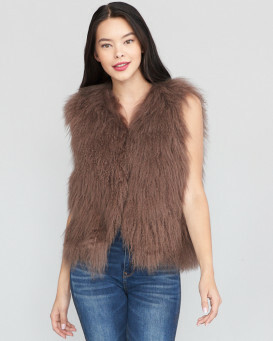 Made with the finest ranch raised fox fur. 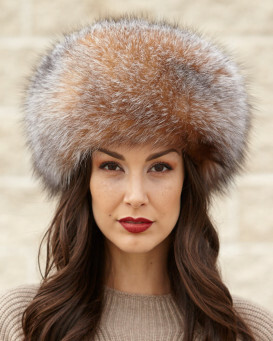 This elegant, all fur hat is certain to keep you warm. A classic style that never ages. Satin lined interior for added comfort. Exceptional quality. 4.5 / 5 from 104 customer reviews. "Lovely but runs a bit small"
"Excellent colour and quality . Four stars awarded as comes slightly small"
"I collected my Hat today and am delighted with it. It is sleek and shiny and looks very luxurious! Even better than anticipated. 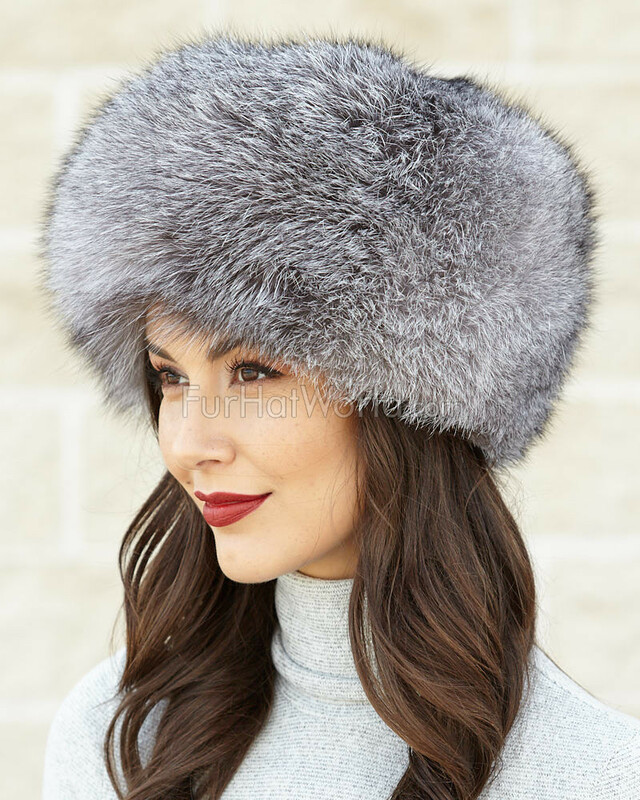 Delivery was also prompt so Thankyou Fur Hat World"
"The hat which finally arrived is much darker gray fur than that pictured on the website. It is lovely, cozy, and I'll keep it, but I had wanted more silver, less indigo." 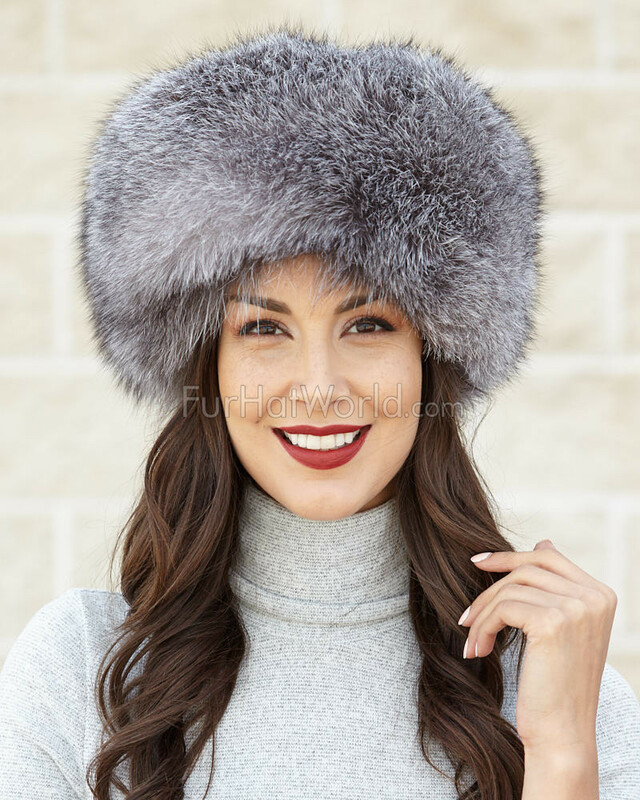 "The hat is well constructed and the fur generous. I would buy another hat like it in another color. Was not thinking about my hair color enough when I ordered it. I have hair color that matches the hat!! You have to look to see the hat from the hair. OOOps. PS. Service was excellent. Had the hat in time for Christmas and our cold weather." 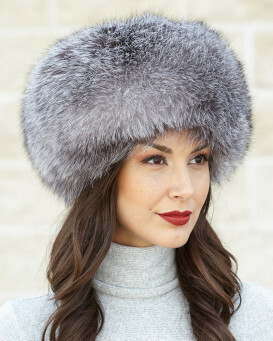 "Excellent service and fantasic fur hat, 5 days from Canada to Uk I am waiting on christmas morning for the fiinal opinion, I already know the answer im sure"